Back Row (Included L to R): Michael 'Fear' Organ, Pat Enright, Humphrey Kelleher, Nicky Cashin, Michael Hanrahan, John Mulligan. Front Row (L to R): Michael Collins, Joe Power, Felix Shields, Marty Kiely, Johnny Burns, Rogie Cashin, Jimmy Healy, Eddie Cashin. 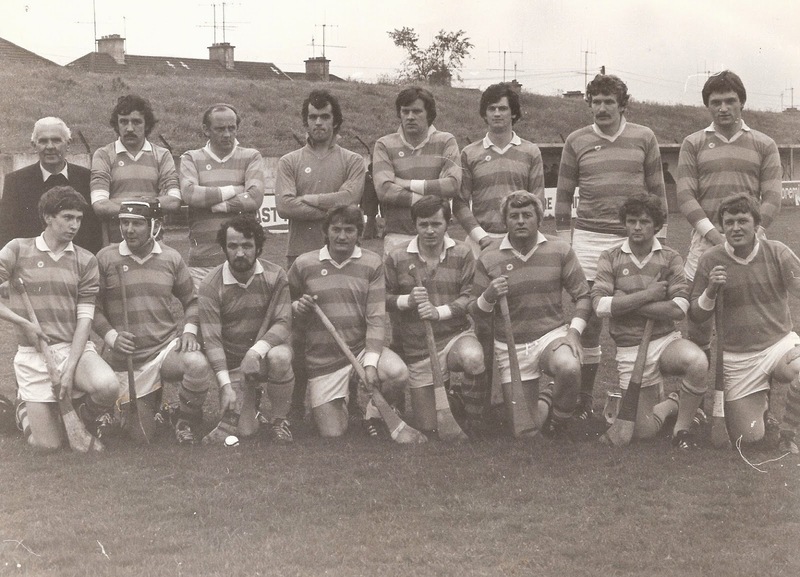 This week's photo shows Abbeyside Senior Hurlers who were defeated 3-10 to 3-6 in the 1979 Sargent Cup Final played at Walsh Park. Our ever popular Jack the Joker fundraiser continues this Sunday night in Alice O’Connor’s Bar where the jackpot is €4,000. On Sunday night last Alan Walsh was drawn out and chose card number 2 which wasn’t the Joker although she did win €50. Mattie Kiely and Eleanor McCarthy won €25 each. As well as our group of ticket sellers tickets can be purchased from Convenience Store Ballinroad, Village Flowers, Spar, Mousies Takeaway, Minnies Bar and Crottys Corner Bar. Our minor footballer will get their County Championship Campaign underway on the weekend of February 7th / 8th away to Rathgormack. On behalf of all in the club we would like to offer our heartiest congratulations to the Waterford Senior Football team on their wonderful victory over UCC in the McGrath Cup Final in Fraher Field. It was Waterford’s first time winning the Competition in over 30 years and Stephen Enright, Michael O’Halloran, Patrick Hurney and Mark Ferncombe all played their part in the victory. We wish them all the very best of luck ahead of their opening league game against Wicklow in Fraher Field this Saturday night. All in the club would like to congratulate Neil Moore on his recent election as Vice Chairman of the Western Board. Our juvenile medal presentation for our achievements on the playing field in 2014 will take place in St Laurence’s Hall, Ballinroad on January 29th at 7.30pm. Our under 9 outdoor hurling training sessions started last Saturday morning at the wall ball and will continue every Saturday at 11.30. Our under 12 hurlers travelled on Saturday morning last to a blitz in Tramore. Everyone enjoyed themselves and this group of players will travel to Tramore again this week and the following week to complete this blitz. Thank you goes to all the parents who helped to transport the kids to and from Tramore. Our under 8 hurling season gets under way on Saturday the 21st February next with a blitz organised for Bohadoon. Coaches appointed were Seanu Kiely, Richie Walsh and Sean McGrath. Thank you to Emer Enright and Margaret Tritcheler for their work over the past two years. Congratulations to Cadhla McGrath, our registrar and the Friary girls who became Munster Football Champions last weekend. Abbeyside Ladies Football Club will hold their Annual General Meeting next Saturday 31st January 2105 at 2.00 pm in the committee room at the Club. All players, parents, mentors and committee members are asked to attend. The draws for the 2015 Senior Hurling and Football Championships were held at last Monday night's County Board Meeting. 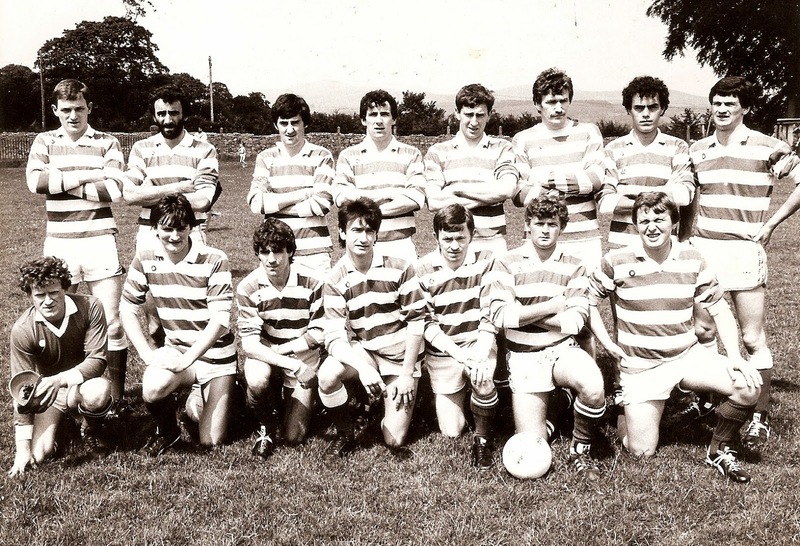 This week's photo comes from the 1980s and shows Ballinacourty Senior Footballers who defeated Kilrossanty 0-11 to 1-7 in the first round of the County Senior Football Championship at Fraher Field. Our ever popular Jack the Joker fundraiser continues this Sunday night in Alice O’Connor’s Bar where the jackpot is €3,800. On Sunday night last Fiona Flynn was drawn out and chose card number 26 which wasn’t the Joker although she did win €50. Jim O’Mahony and Miguel Garcia won €25 each. As well as our group of ticket sellers tickets can be purchased from Convenience Store Ballinroad, Village Flowers, Spar, Mousies Takeaway, Minnies Bar and Crottys Corner Bar. Tickets for the GAA National Draw are currently on sale from any member of our club committee and the adult players. There are some fantastic prizes on offer in the draw with tickets costing €10 each all of which is retained by the club. We would ask any ticket sellers to please return their tickets by January 23rd along with the money for these tickets. Our minor footballer will get their County Championship Campaign underway on the weekend of February 7th /8th away to Rathgormack. On Sunday last the Waterford Senior Footballers continued their good start to the year with victory over Cork in the McGrath Cup. This was Waterford’s first victory over Cork in Senior Football in over 50 years and they now go in search of a first McGrath Cup title since 1981. Stephen Enright, Michael O’Halloran and Patrick Hurney were all on the team and we wish them the best of luck against UCC in the final this weekend in Fraher Field. We would ask all players to please make an effort to get their membership fees paid as soon as possible as any player who suffers an injury in training or matches is not covered by insurance unless they have paid their membership . Our Club Bingo will continue this Sunday night in the CBS Hall where the jackpot is €750. On behalf of all in the club we would like to send our sympathies to the family and friends of the late Jimmy O’Dea, Home Rule Street who passed away last week. Jimmy played with the club for many years and this tradition was continued on by Jimmy’s sons and his late brother Liam O’Dea served the club on the playing fields and as an administrator for many years. Once again we send our sympathies to all the O’Dea family especially to Jimmy’s wife Bridget, daughter Siobhan, sons Ciaran, Timmy and Donncha and his sister Joan. We would also like to send our sympathies to the Dwyer and Elstead families on the death of Mrs. Mary Dwyer, Caseyville recently. Mrs. Dwyer’s grandsons are very valued playing members of our underage and adult teams at present and we once again send our sympathies to the family and many friends of Mrs. Dwyer but especially to her daughters Eileen, Kay, Joan and Alice and to her sons Noel, Liam, Anthony, Raymond and Michael. Due to the unavailability of the Friary College because of exams our outdoor hurling this year will start earlier than in previous years. Because of these exams we will not be able start back again indoors and so we will start our outdoor sessions in mid February or early March weather permitting. We would like to thank all of the people in the Friary for the co operation in regards to this matter. Helmets etc will be available to buy at a discounted rate at these new sessions and all are welcome. Our juvenile medal presentation for our achievements on the playing fields in 2014 will take place in St Laurence’s Hall Ballinroad on January 29th at 7.30pm. 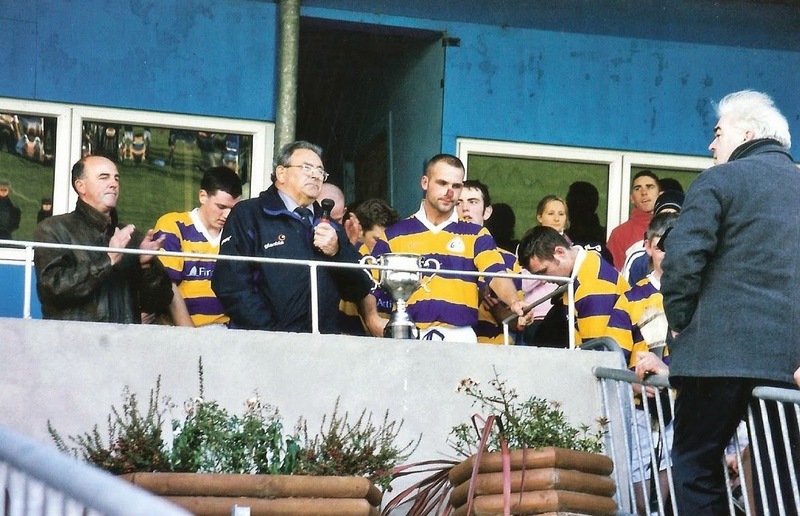 This week's photo comes from 2003 and shows Western Board Chairman, Paddy Walsh presenting the Western Intermediate Hurling Championship trophy to captain John Paul Keohan following Abbeyside's 1-12 to 1-9 victory over Shamrocks at Fraher Field. The lads went on to regain our senior status after a narrow 3-12 to 4-8 win over Erin's Own in the County Final. Our ever popular Jack the Joker fundraiser continues this Sunday night in Alice O’Connor’s Bar where the jackpot is €3,650. On Sunday night last Alan Mulcahy was drawn out and chose card number 7 which wasn’t the Joker although he did win €50. Michael Hearne and Smokie and Sinead won €25 each. As well as our group of ticket sellers tickets can be purchased from Convenience Store Ballinroad, Village Flowers, Spar, Mousies Takeaway, Minnies Bar and Crottys Corner Bar. On Sunday last the Waterford Senior Footballers continued their good start to the year with victory over CIT in the McGrath Cup. Stephen Enright, Michael O’Halloran and Patrick Hurney were all on the team and we wish them the best of luck against Cork this Sunday in Clashmore. Our Club Bingo will continue this Sunday night in the CBS Hall where the jackpot is €700. 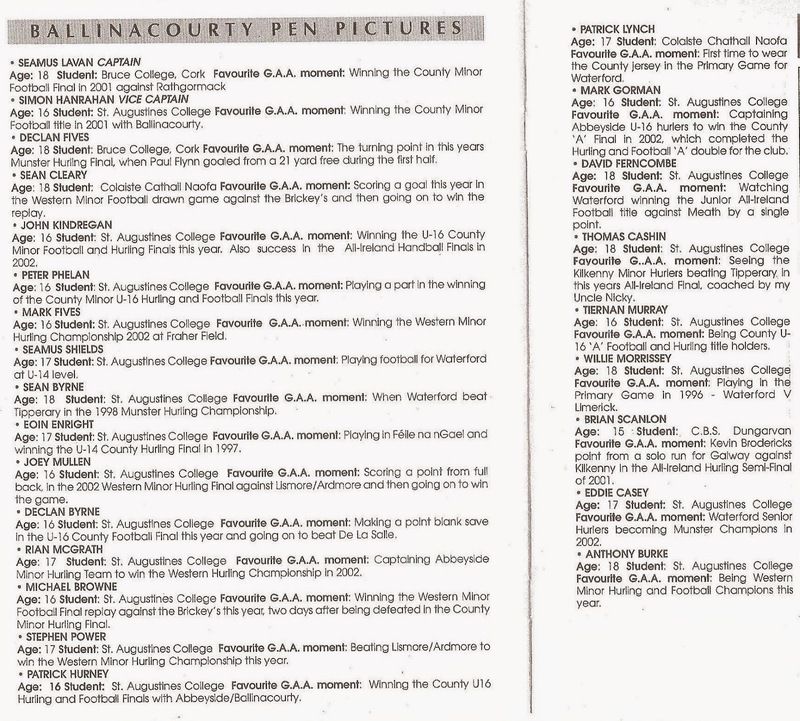 Following on from last week's programme and team sheet for the 2002 County Minor Football Final, this week's photo features pen pictures for the Ballinacourty panel who won the championship against Gaultier at Walsh Park in November. Our ever popular Jack the Joker fundraiser continues this Sunday night in Alice O’Connor’s Bar where the jackpot is €3,500. On Sunday night last Paddy Power Staff were drawn out and chose card number 3 which wasn’t the Joker although they did win €50. Rita Power and Jimmy Meehan won €25 each. As well as our group of ticket sellers tickets can be purchased from Convenience Store Ballinroad, Village Flowers, Spar, Mousies Takeaway, Minnies Bar and Crottys Corner Bar. Tickets for the GAA National Draw are currently on sale from any member of our club committee and the adult players. There are some fantastic prizes on offer in the draw with tickets costing €10 each. On Sunday last the Waterford Senior Footballers got their 2015 season off to a winning start with victory over University of Limerick in the McGrath Cup. Stephen Enright, Michael O’Halloran and Patrick Hurney were all on the team and we wish them the best of luck against CIT this Sunday in Clashmore. Our Club Bingo will continue this Sunday night in the CBS Hall where the jackpot is €650. On behalf of all in the club we would like to extend our sympathies to Mrs. Bridget Riordan McCarthy Ville and all the Riordan family on the death of Bridget’s mother Mrs. Sheila Curtain, Currow, Co.Kerry over the Christmas period. The Riordan family give fantastic support to our club in many ways off the field whilst on the field Mrs. Curtain’s grandsons are valued members of our Juvenile Section. The AGM of the Camogie Club will take place on Monday evening the 11th January at 8.00pm in the club house and we are asking all parents to attend and anybody who maybe interested in getting involved in the club going forward. 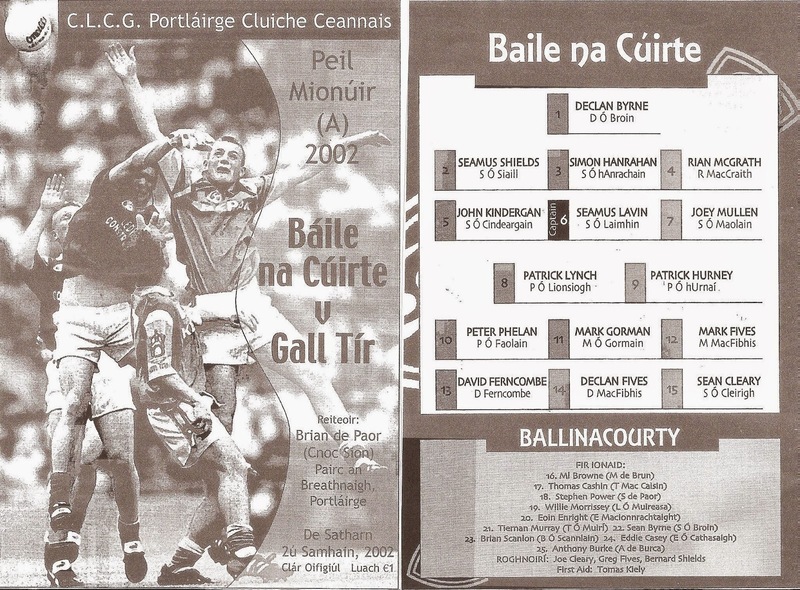 This week's photo shows the official programme cover and Ballinacourty line up for the County Minor 'A' Football Final played at Walsh Park in November 2002. Close matches were the feature of that year's championship. The Western Semi Final saw the boys emerge with a one point, 3-4 to 2-6 win over Kilrossanty while the divisional decider with Brickey Rangers went to a replay after a 2-7 to 1-10 draw at Fraher Field. In the second match Ballinacourty won by 1-6 to 0-7. The County Final saw the Green and Whites retain the title won the previous year with a hard fought 0-11 to 1-6 victory over the Eastern Champions, Gaultier.